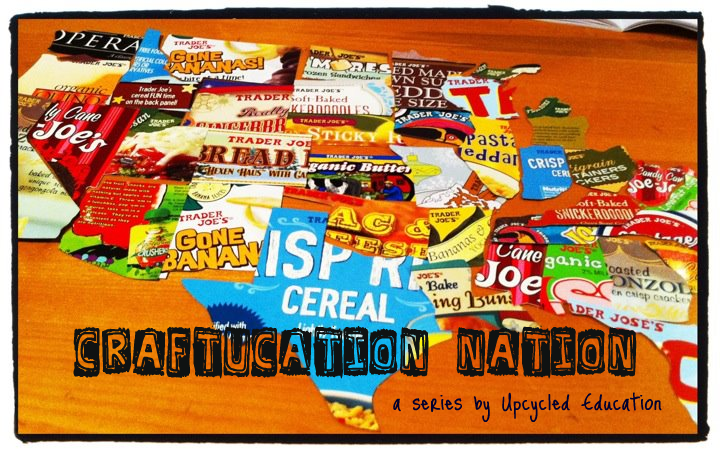 See you in mid-January 2012, super Upcyclist! 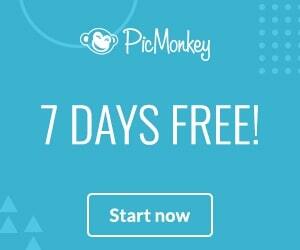 PS - Remember how I upgraded to the premium Picnik? 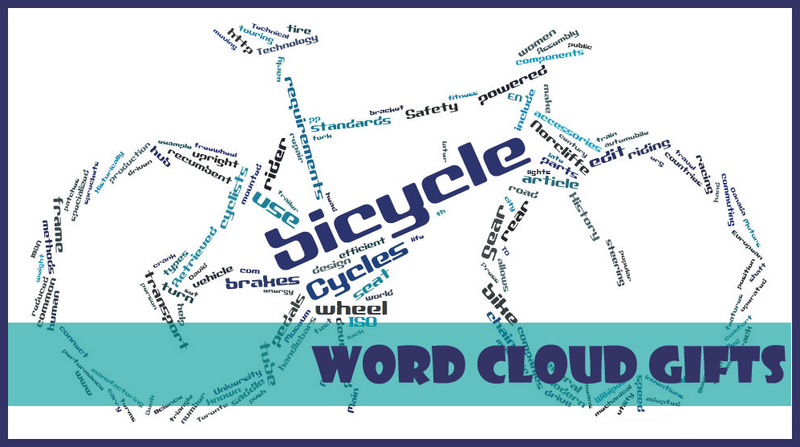 The premium version let's you make nifty collages like the one above in less than 2 minutes! 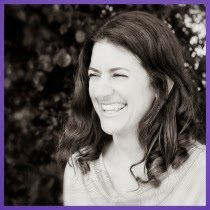 I am madly in love with this feature :) Try it out before we see each other again in 2012, ok? Let's face it. The holiday season can be kind of stressful. Visit Odosketch to exercise your creative side and relieve some stress.﻿ Creating a sketch is free, plus the color palette is soooo soothing. If you have family members to entertain - like Grandma or Cousin Joe - set them up on Odosketch while you go for another glass of egg nog. The past two days, I've featured monthly subscription gift ideas for kids (Kiwi Crates) and the men in your life (Manpacks). All I have to say is "Yes, please." My college students will attest to the fact that I have zero style. I might even be in the negative. With Cake Style, you Skype with a personal stylist, so the stylist can get a feel for your style (or lack thereof). Then, voila, a box arrives at your doorstep filled with clothing items chosen just for you. I have no idea what it costs, but returns (for items you dislike) are free. Since yesterday, I posted about Kiwi Crates for kids, I thought in all fairness, Mr. UpCyclist (and the fellas) deserve a monthly subscription gift idea, too. What man doesn't deserve a Manpack? Ha! I love Manpack's tag line, "Manpacks...More time to slay dragons." PSS - My monthly subscription desire is coming tomorrow. Be ready, ladies. 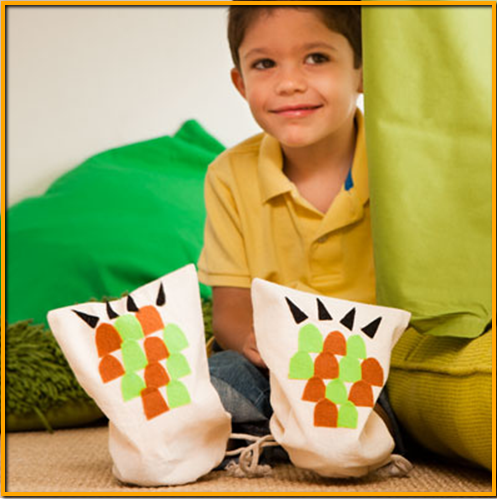 If you need a last minute gift for a child, consider a monthly subscription to Kiwi Crates. 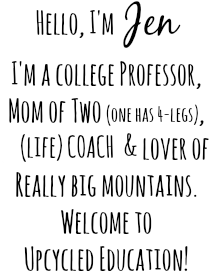 For $19.95 a month, the child receives a crate (a uber-cool lime green box), filled with materials and inspiration. The sample crates online show a dinosaur, garden and color crate. I haven't seen a Kiwi Crate in person, myself, but the idea of a child receiving a box filled with creative inspiration is right up my alley and certainly lil O's. 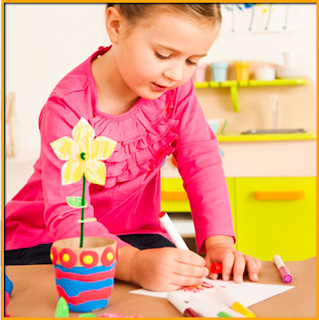 For just an additional $7.95, you can add a sibling and more materials will be including in the box. 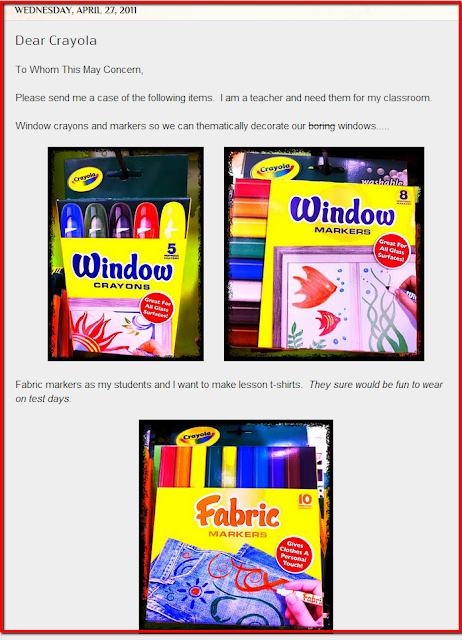 I noticed Kiwi Crates has a fantastic blog, too, with lots of great kid ideas. Plus, how about this sweet logo? Who doesn't love a chubby, little kiwi? PS - Was I the only one who thought kiwis were just fruit and not birds? Need an easy gift for a friend or colleague? Or how about your students? 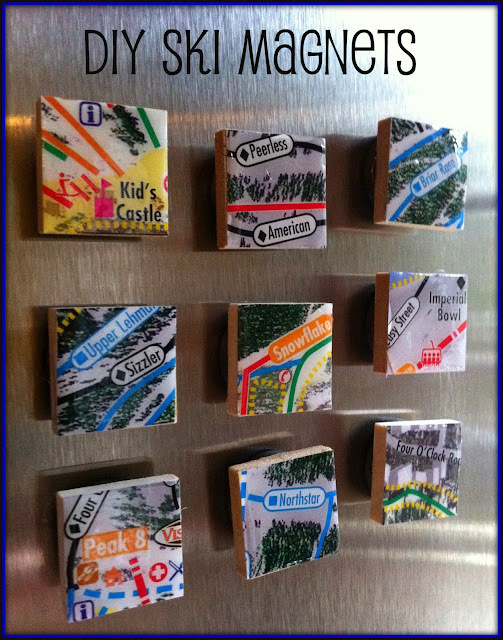 Lil O and I used this tutorial featured on Mod Podge Rocks to make our own DIY magnets. We bought our gems at the dollar store, used scrapbooking paper and magnets from AC Moore, Mod Podge (of course!) and jewelry glue to secure the magnet. If I was going to make 50 or more, I think I would buy these super strong and tiny magnets instead. We did not use any clamps to hold things in place as described in the tutorial; the glues just worked on their own to adhere with a little bit of finger pressure. One caution: The magnets love to attract to each other (as you know). 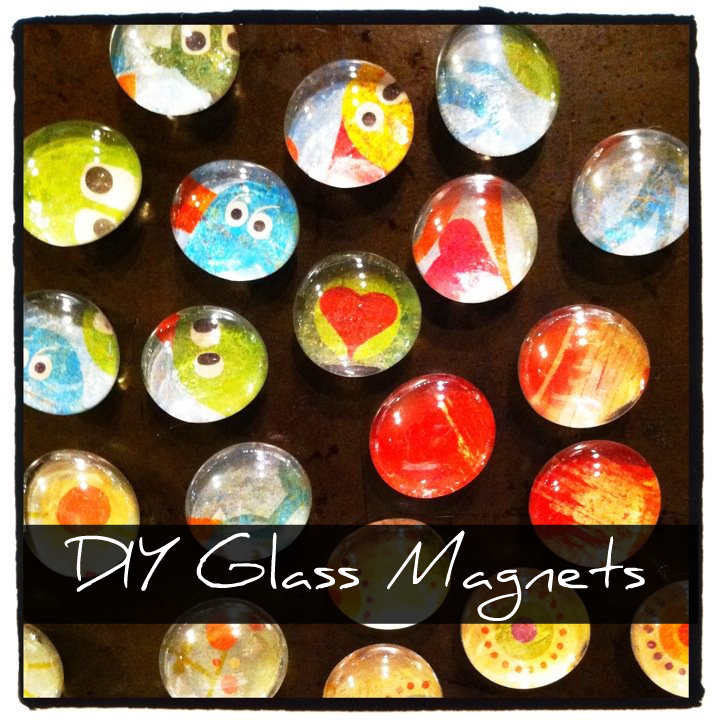 Thus, make sure your magnets are spread apart while they dry, otherwise you'll learn, like we did, the magnets will fly off the gems and stick together quickly foiling a great, easy and kid-friendly project. 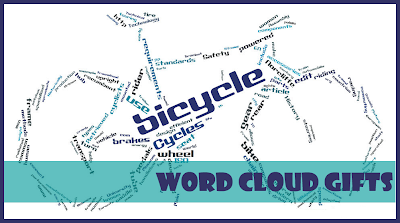 Do you remember this old-school, Tech Tuesday post on Tagxedo and Wordle? 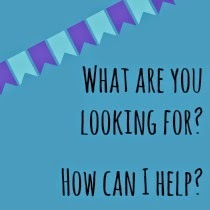 If not,﻿ click here to (re)visit it. 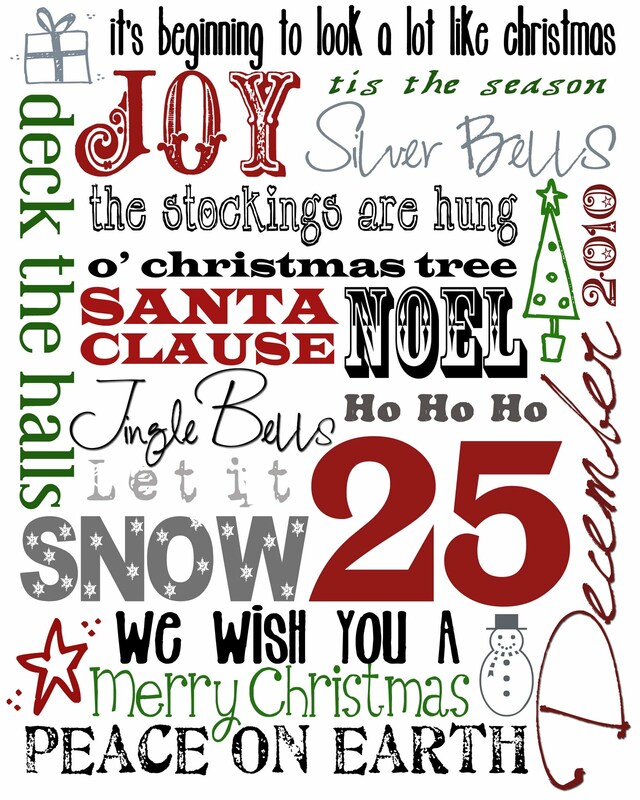 If you need a personalized holiday gift, Tagxedos and Wordles look super-duper snazzy when they are framed. I bet you know who got a gift related to the Tagxedo above. I wish I could say I made it, but I found it in the Tagxedo gallery. Scout Creative does it again with this free, super cute, 3-D, printable, December calendar. I may have to print one for lil O as she is a toy soldier this year in her school's holiday program. Did you see November's calendar? I'm a little sad I missed that one. I've got a thing for toucans after my year teaching in Quito, Ecuador. Actually, anything jungle I've got a thing for especially mischievous little monkeys. But, wait, I've got Mr. UpCyclist and lil O to make up for it. Ha! Enough of my babbling....My new Jullian Michael's DVD is waiting for me. Yep, Ripped in 30. Watch out, Santa! 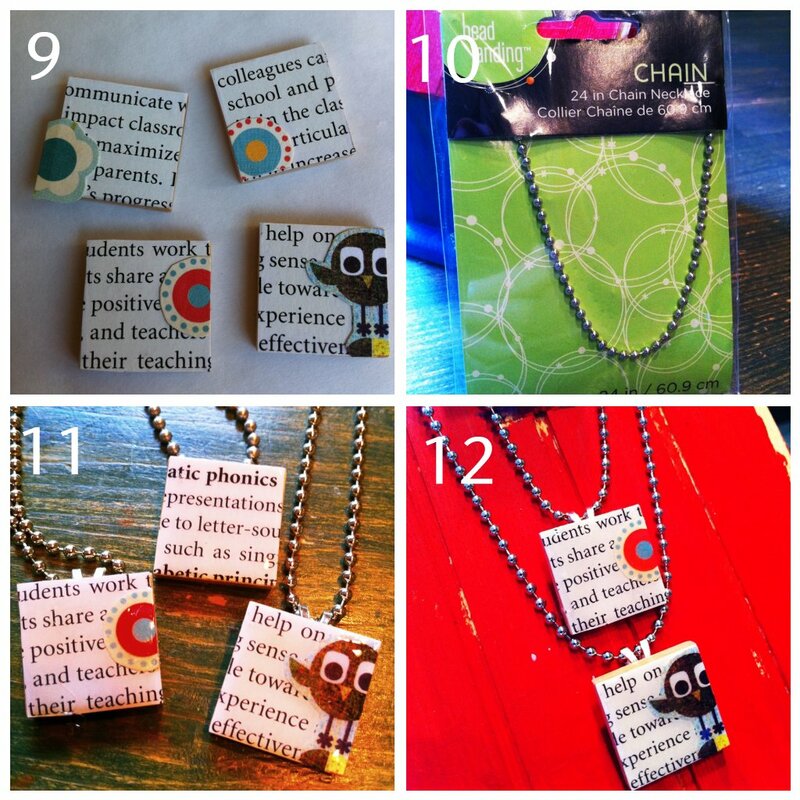 Want a customizable gift for a colleague or loved one? Visit the tutorial on DIY Artwork here. In our ski bungalow in Colorado, I made a completely customizable DIY piece just for there - it hangs in the lou and another mini-one embellishes our ski locker. Fun gift-giving doesn't get any easier than this! 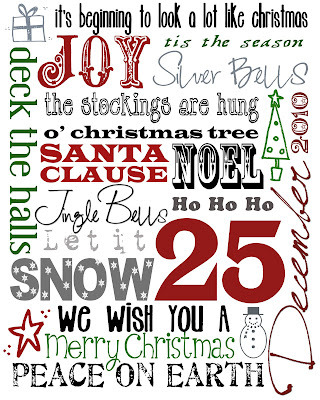 Simply print and frame (remember to use a 40% off coupon at Michaels or Joann's to purchase your frame). Heck, even a Dollar Store frame would do!﻿ Go to this generous blog, Smile Like You Mean It, to download your free subway art for the Christmas Holiday. This project follows the same steps and requires the same materials as yesterday's DIY Textbook Charms post with two additions - magnets and a ski map! Yay, for skiing and snowboarding! And yay for using two different Mod Podge products - regular Mod Podge and Dimensional, again. 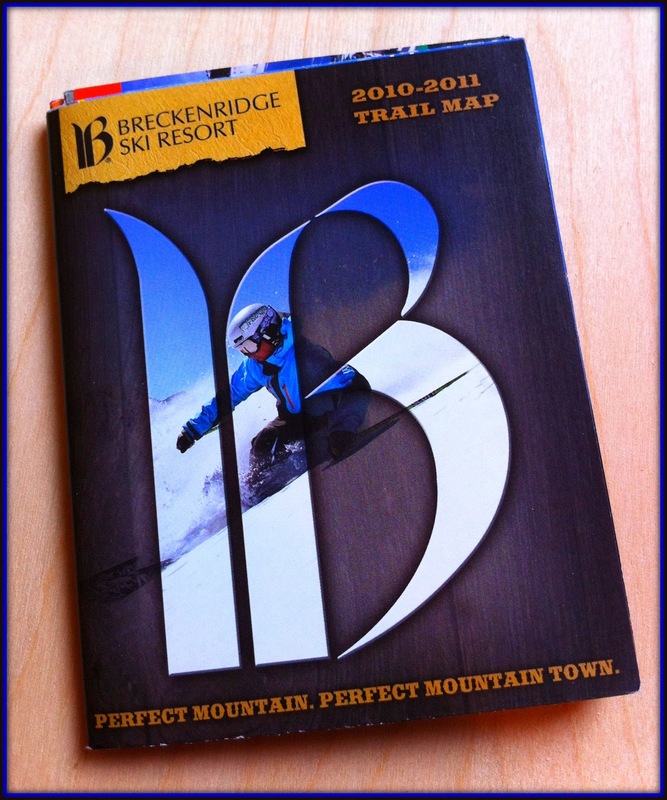 You know how I adore Colorado and our cozy place there; Breckenridge is perfect for winter activities and craftucation, in my professional & personal opinion. Since we like to keep the condo tidy and fresh for ourselves and our renters, these magnets will be great for holding notes, reminders, welcome information, and to-do lists. Right now, this is the only magnet on our fridge. You Michigan State fans will be proud. 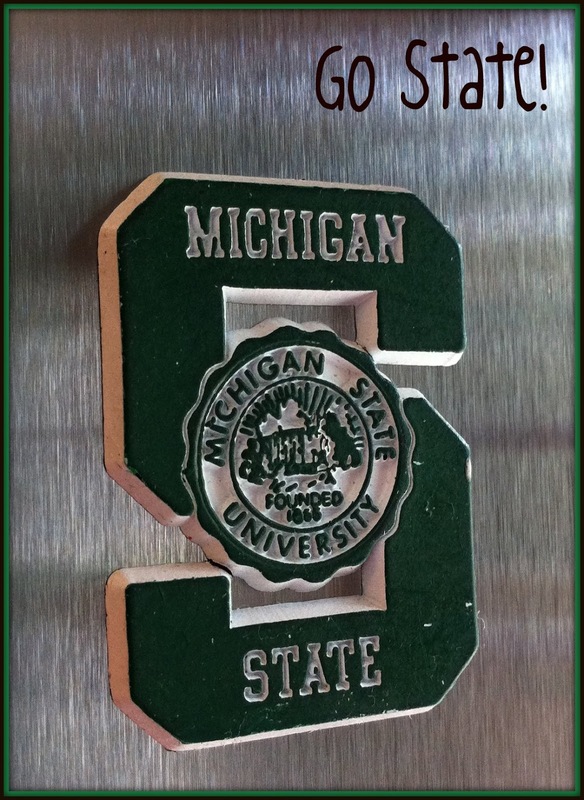 Funny story: One of our first renters emailed me from the condo and asked, "Did you go to MSU?" Evidently, we were in college there at the same time! Small world, isn't it? Our new magnets will be helpful to keep me on track while we are there to ski, board, craftucate, snowshoe, shop, swim, hot tub, chow, pretend to be locals and basically frolic. Do you see the magnet with "Kids Castle?" That is lil O's favorite ski trail at the resort. It literally is a kids castle with a dragon and everything. You ski (or board) through it! We easily do that run five, if not ten, times a day and never get bored. 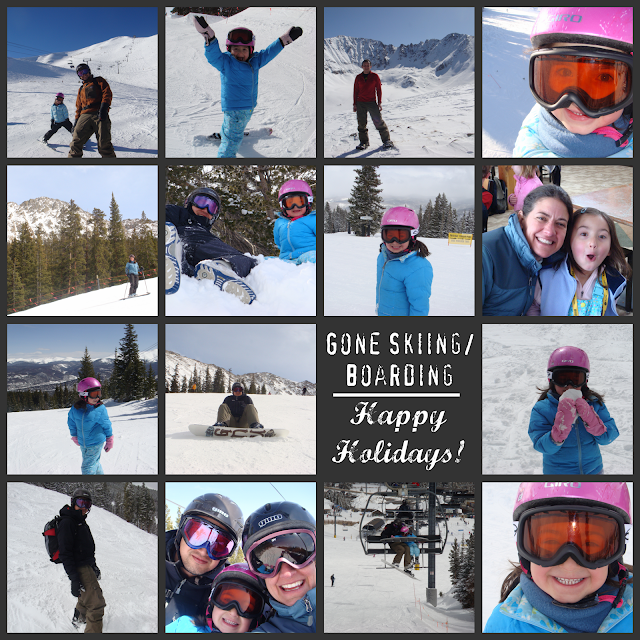 Yay for skiing, boarding, crafts and Mod Podge products again! 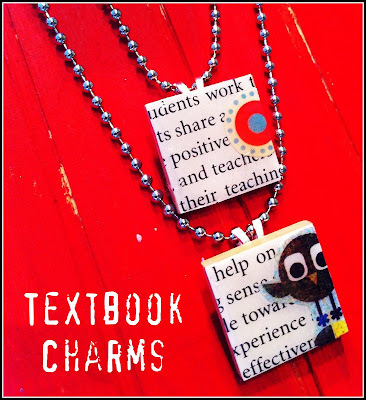 See yesterday's post on Textbook Charms for step-by-step directions. What to do with all my old, out-of-date textbooks? Repurpose them into gifts, that's what. Today's DIY project uses not one, but two Mod Podge products. 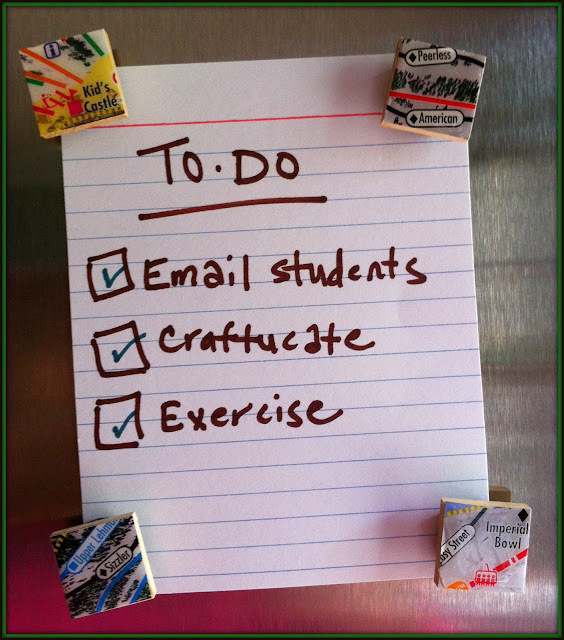 Remember, Mod Podge is a craftucator's be-fri.
1. 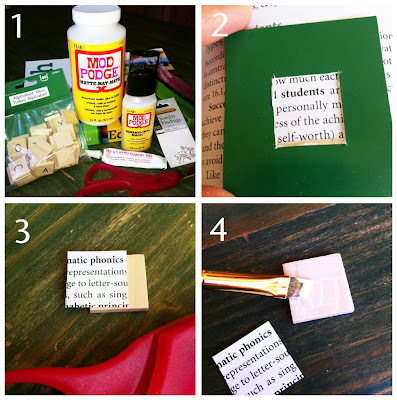 Gather your supplies: Wood alphabet tiles, old textbook, scissors, bail, necklace chain, Mod Podge (regular), Mod Podge Dimensional, jewelry glue, and small paintbrush. I bought my supplies at AC Moore and Michael's, but just about any major craft store will do. Actually, finding the bails was tricky; AC Moore had them in stock, whereas my local Michael's did not. 2. Decide which part of the textbook you'd like to use; I made a guide to help me visualize the charm. 3. Trace the alphabet tile on the textbook page and cut out the paper square. 4. 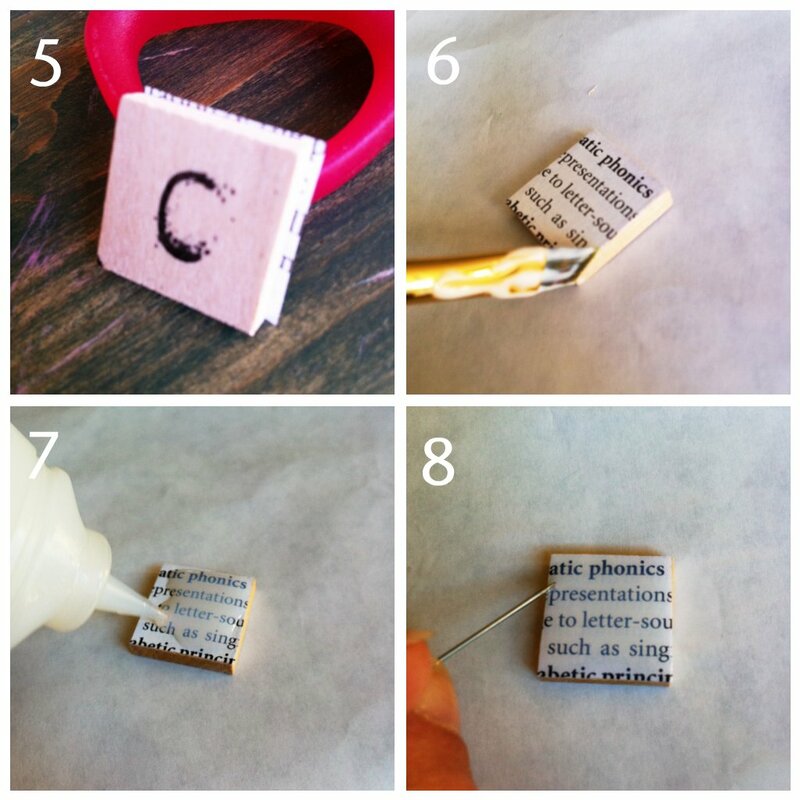 Paint a light coat of Mod Podge on the alphabet tile and adhere paper square. 5. Turn over alphabet tile and trim off excess paper. 6. Seal all edges with Mod Podge. Let dry for at least 20 minutes. 7. Cover entire front surface with Mod Podge Dimensional. Do NOT shake your bottle of Mod Podge Dimensional as you want to keep the air bubbles to a minimum. Mod Podge Dimensional makes the surface of your charm glossy and raised. 8. For air bubbles, either pop with a small pin or carefully slide the bubble off the side. Both techniques worked for me. Let the Mod Podge Dimensional dry overnight. 9. For added flair, add small designs before you use your Mod Podge Dimensional. 10. I bought this particular faux-silver chain at Michael's. It is 24 inches long, but with scissors, you can cut it to any length. 11. Using jewelry glue, glue a bail to the back of your charm. There is no picture of me gluing the bails. I forgot to take one! I let the bail dry for two hours and then, added more glue to double-secure it. I tried just gluing the bail once and the bail popped right off when I was showing off my charm to my college students. I immediately looked uncool. Let the bail dry overnight to regain your coolness next time you show-off. 12. Add your finished textbook charm to a chain and you are ready to go. What? All items at the Scholastic Book Warehouse Sale are discounted at least 50%? Count me in! 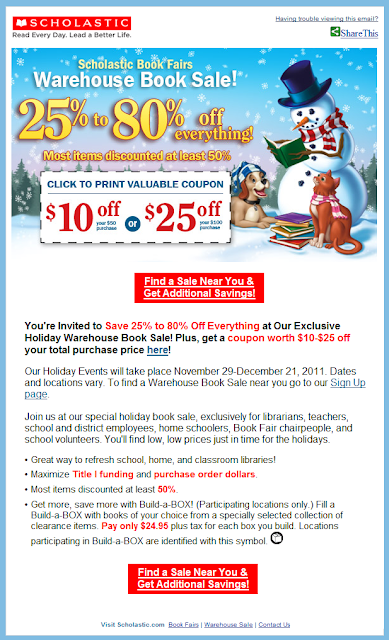 And you - as the sale is open to educators, homeschoolers, school volunteers, etc. The warehouse event is going on this week and next, nationwide. Click here to find a warehouse near you. Tis' the season to show off your craftucation skills. 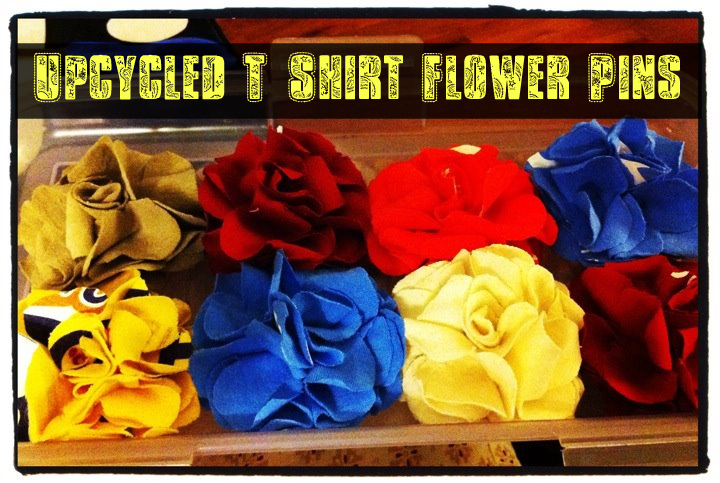 This uber-easy tutorial from Emily's Little World upcycles unwanted tees into useful pins, headbands and hair clips. I used my hot glue gun for this entire project and on a three hour conference call, I cut out all my flower shapes. I love how the tee flowers turned out. I made certain to leave some of the graphics from the tees as I thought the graphics added flair. I hot glued pin backs from the craft store on the back of each flower - perfect to jazz up a winter coat for a friend or colleague. PS - If you missed my guest appearance refashioning tees on Crafterhours, check it out. No tee is safe from me! PSS - If you like the graphics above, I used Picnik (from Tech Tuesday last month) to alter them.